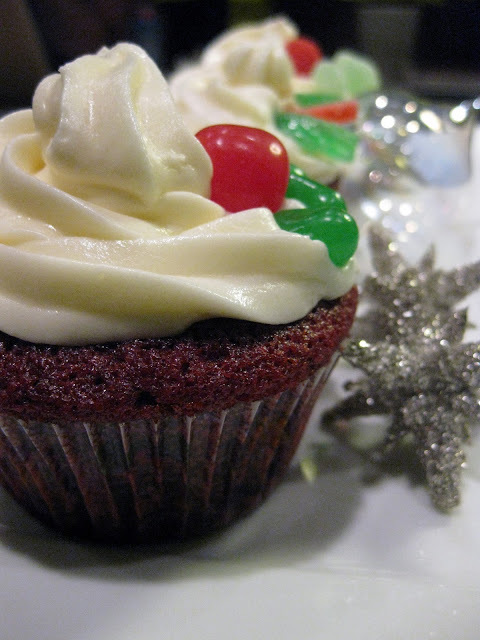 Red velvet cupcakes are easy to dress up for Christmas, but delicious no matter what the occasion. 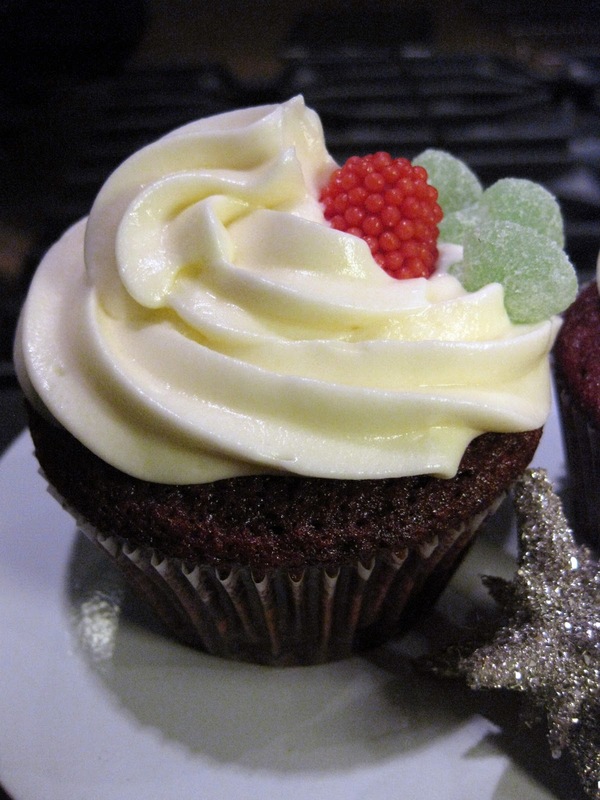 Many of us have had red velvet cake: bought at a bakery, eaten at a party or restaurant, or made from a cake mix. But haven't some of you also wondered what makes it different? How is it not just vanilla cake mix with tons of red dye poured in? I did the footwork to find out. The answer? There's more than just red dye to making a real red velvet cake. So though you may feel ready to cut some corners with vanilla box mix and a tube of red dye, there are at least four ingredients you need to know about to make a great, authentic red velvet cake recipe. Beyond that, there's a bit you should know about the frosting, too. Read on . 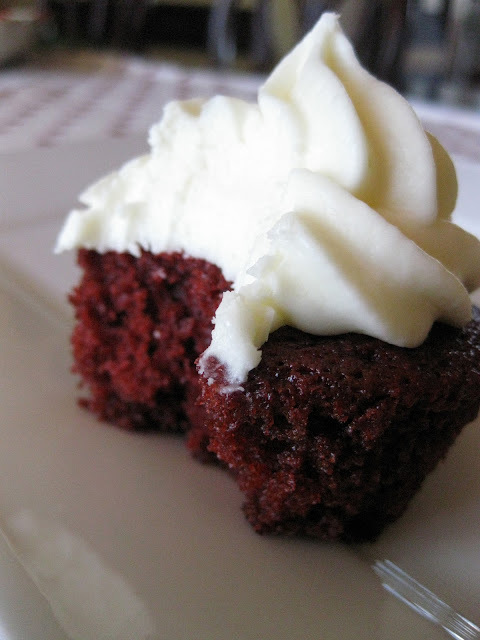 . .
A real red velvet cake recipe uses buttermilk, vinegar, and cocoa. Look for these ingredients to determine whether you've found an authentic red velvet cake recipe. So, what's the secret to a real red velvet cake recipe? Buttermilk, vinegar, and at least 2 tablespoons of cocoa powder. Oh, and tons of red food dye (artificial or natural). 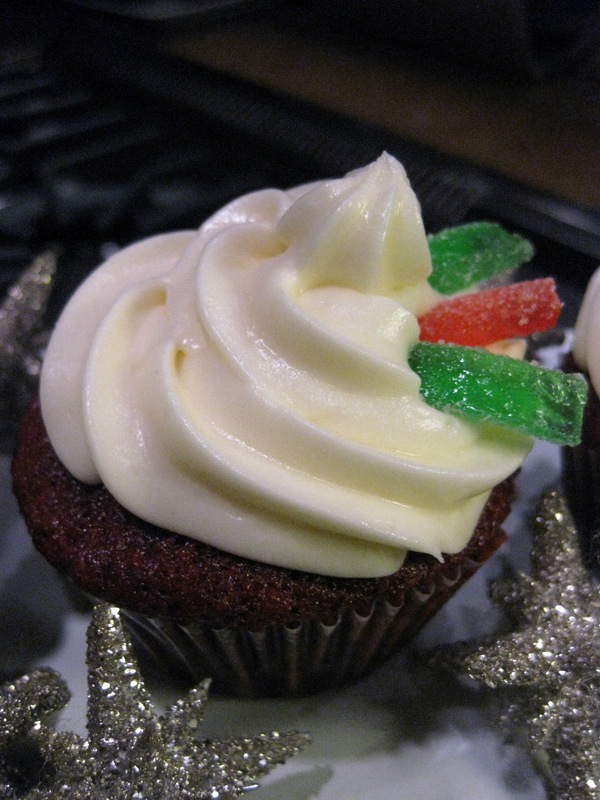 If you found a red velvet cake recipe and it doesn't include these, then keep looking. The red velvet cake frosting matters, too: use either a cream cheese or a roux frosting, as described below. I took a bite! The secret to a real red velvet cake recipe, other than buttermilk, vinegar, and cocoa, is a roux frosting. According to legend (i.e. Wikipedia), the mixture of acidic buttermilk and vinegar with cocoa enhances a reddish pigment in cocoa called anthocyanin. Many original and authentic red velvet cake recipes call for natural dye extracted from beets to enhance the red color, while modern recipes often call for an artificial food dye. There are plenty of options on the market for both natural and artificial red dyes, so take your pick. Yum! You can see a cross-section of the red velvet cake frosting in this picture. The frosting is important, too. If you're aiming for a really authentic "real red velvet cake", don't bother topping it with anything other than cream cheese frosting - unless you want to make a butter roux frosting, in which case you get extra credit points for historical accuracy. Roux frosting (also known as boiled milk frosting or ermine frosting) was originally the real red velvet cake frosting. This example shows how you can decorate red velvet cupcakes for Christmas. I experimented with a few Christmas decorations, since the dessert's red-and-white color combo lends itself to the seasonal colors. Real red velvet cake makes a great holiday cake for christmas. A roux frosting is the traditional frosting for this cake. If you want the recipe I used, the cupcakes are here, and the frosting (cream cheese) is here. These cupcakes turned out really well. 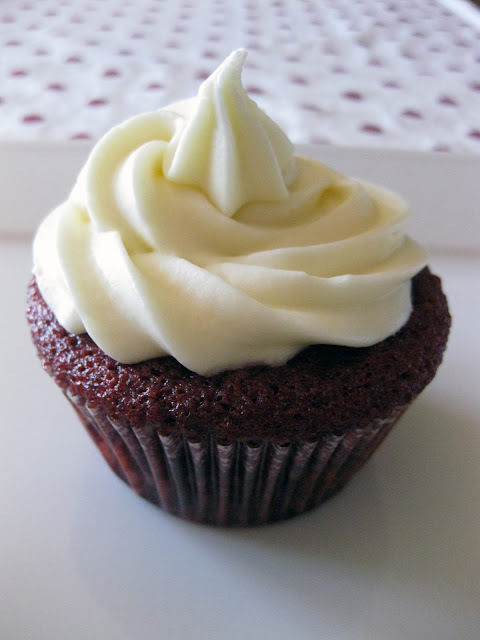 For some of the red velvet cupcakes, I used a traditional red velvet cake frosting: roux frosting (also known as butter roux frosting, boiled milk frosting, or ermine frosting). The recipe for that is here. Hope you found these red velvet cake tips useful! Now you know the secret to real red velvet cake recipe. the half cake there... did someone take a bite? I just wanted to add that you can use beets to make them naturally red.